Talking out of both sides of his mouth, again? 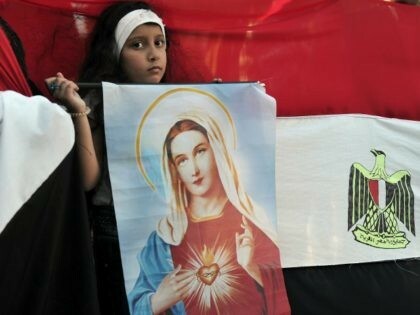 Pope Francis pretends to care for the Christians in the Middle East, although he never did anything for them, and calls for open borders so Mohammedans can waltz in and destroy a 2000 year old culture & civilisation? But then he wants to turn Europe into EUrabia and tells us to we should get ourselves replaced with African savages. Pope Francis talks with journalists aboard a plane, at the end of his visit to Geneva on June 21, 2018, for the 70th anniversary of the World Council of Churches. The pontiff told reporters aboard the papal plane Thursday that he believes it is incumbent on governments to “welcome, to accompany, to place, to integrate” as many refugees as their societies can reasonably accommodate. 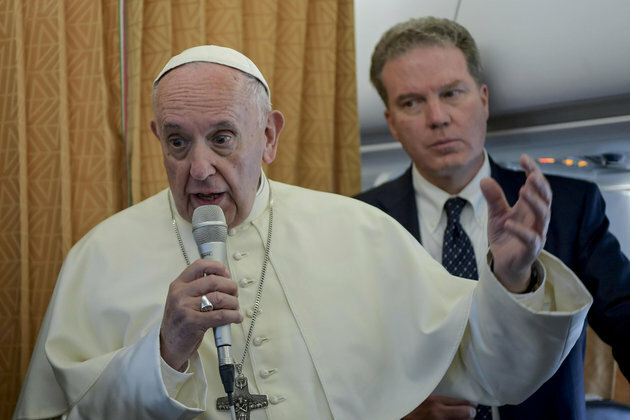 “Each country must do this with the virtue of government, which is prudence, and take in as many refugees as it can, as many as it can integrate, educate, give jobs to,” Francis said during the in-flight press conference, according to The Associated Press. “We are living through a flood of refugees who are fleeing war and hunger,” the pope said. They pissed their bed, now they want ours. Who will stand in the gates to defend civilization?